Bravery is not about the absence of fear. The fearless have no reason or need to be brave. 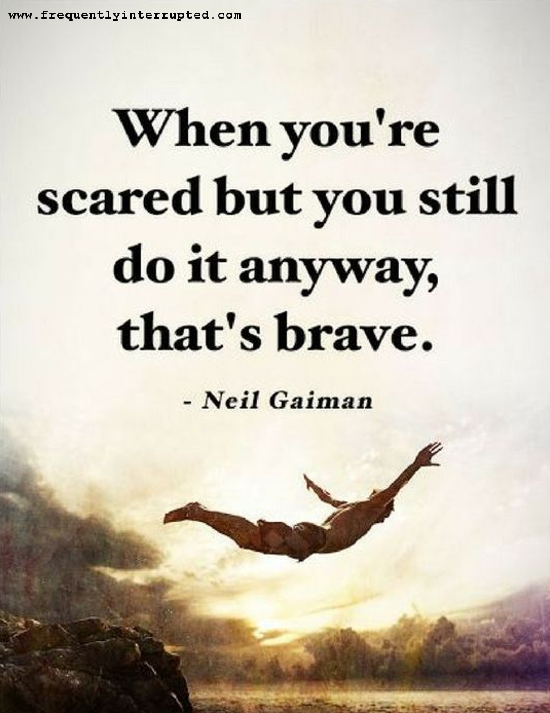 To be brave is to be afraid, to be mindful of your fear, and to do it anyway. Keep going. That is the mark of bravery. 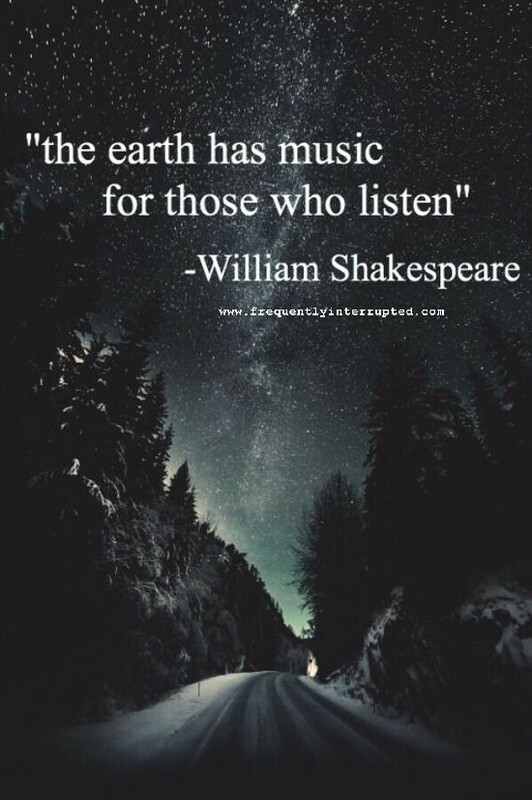 Open your ears and hear the joy of the world around you. Open your heart and dance to the joy of the world around you. It's all there. It's up to you whether or not to participate. 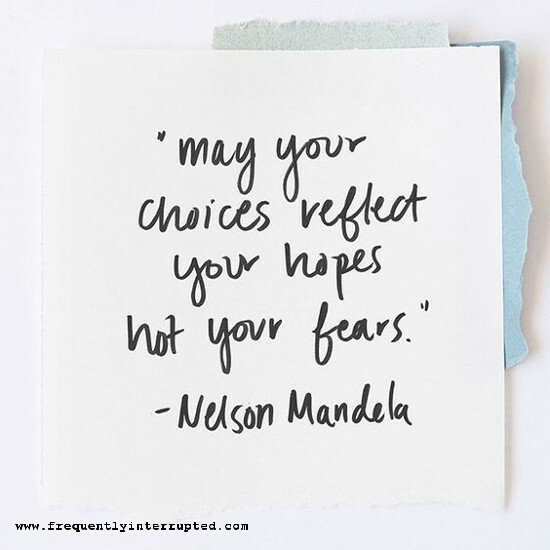 At any given fork in the road, you can turn toward hope or you can turn toward fear. Toward hope, we can build and grow, and sometimes hurt, but we will learn from that hurt. Toward fear, we can cringe and tear down. We seek to avoid being hurt, but cause more hurt in the process. Reach for hope, and even when you fail you may still move forward. Keep moving forward. To date, you have survived 100% of your worst days. That's quite a track record! Think about that the next time you're facing a bad day and realize that, just maybe, you don't give yourself enough credit. You've done it before. 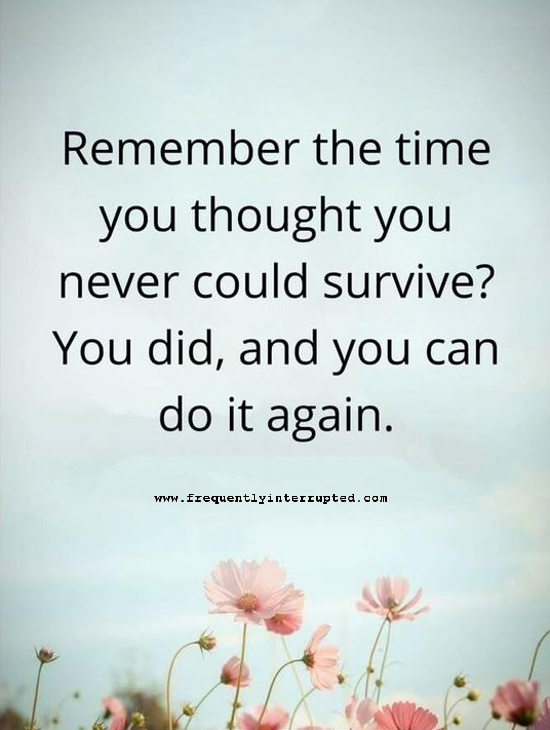 You can do it again. 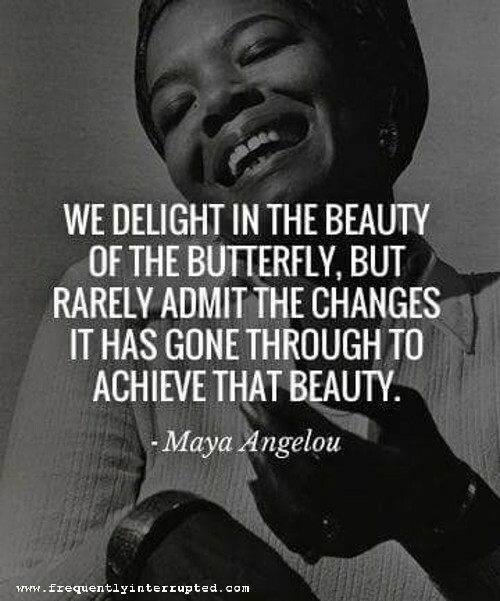 Our culture puts a great deal of emphasis on beauty - on success, on accomplishment, on perfection, etc. - but often forgets to take notice of what is required to get there. It's great to stand on top of that mountain enjoying the view, but getting there takes work. It often takes difficult, dirty, ugly work, and it is necessary that we acknowledge that. 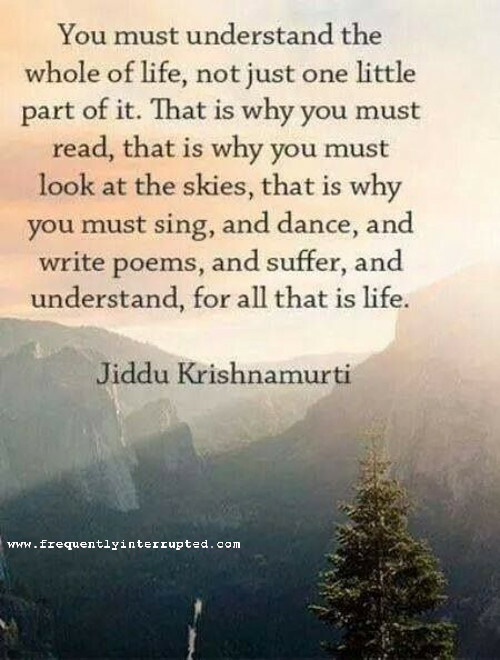 We need to be mindful of the whole of life in order to make the most of life. "I have a right to speak my mind," is something we see bandied around like it answers everything these days, and it's not wrong. You do have that right, but you also have the right to think about what you're saying. You have the right to determine the veracity and merit of what you're saying, and you have the right to make a better world. We won't get that last one without doing a few more things than just relying on the most basic of rights. You have the right to do many things. Now imagine the results if you balanced that with being kind. 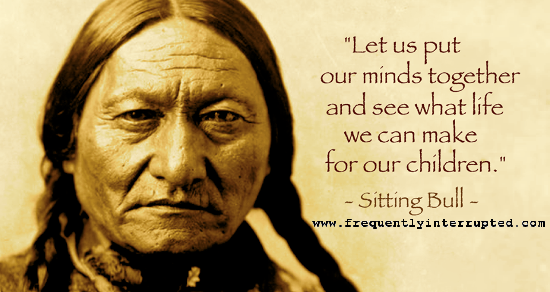 We do not inherit the world from our ancestors. We borrow it from our children. We have a responsibility to turn it over to them better than we found it, in every way that we can make it better. That won't always be easy, but nothing worth doing ever is. We do not do our best thinking when we are agitated or worked up. Sometimes we do need that motivation to get the ball rolling in the first place, but, once we have it rolling, we need to take a step back and let the water clear. If it is worth doing, it is worth doing well, and we have a better chance of accomplishing that if we are thinking clearly. Robert Heinlein once said, "To enjoy the flavor of life, take big bites. Moderation is for monks." Life is made up of so many possible experiences, and surely, even if we are just passing through, the point is to get the most out of it that we can. We dance, we sing, we learn, we grow, we live. Why live if we are not going to be alive, if we are not going to experience life? You may never see it all, but it can certainly be fun to try. 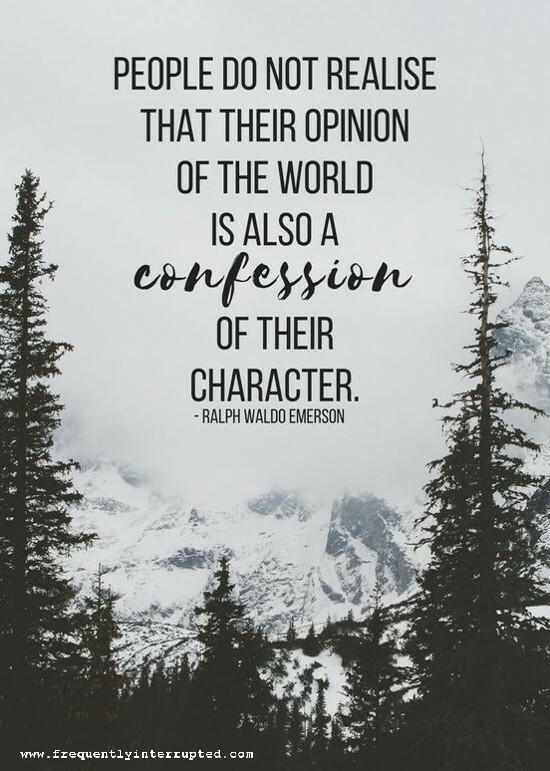 When stating an opinion, you are not, at heart, describing something on the outside. Rather, you are displaying something from the inside. What you think and how you express it are reflections of what is inside of you. What is on the outside, what you are describing, is merely the tool used to produce that reflection. Listen to what you say, examine how you say it, and ask yourself what it is that you are demonstrating. We experience life from the beginning to the end. 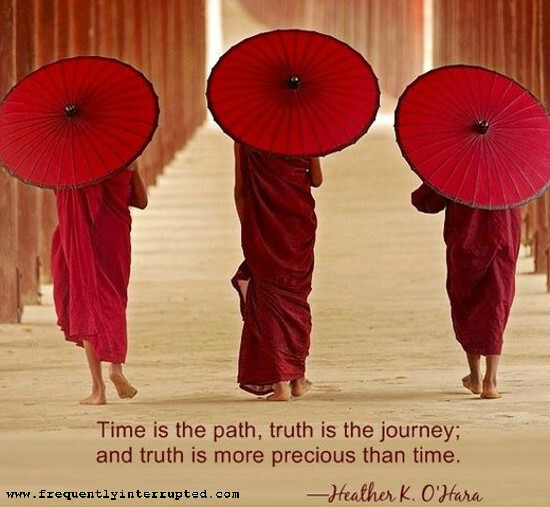 That is the path, but how we experience that path is the journey. If you do not experience it in truth, can you truly be said to be experiencing it at all. Open your eyes. 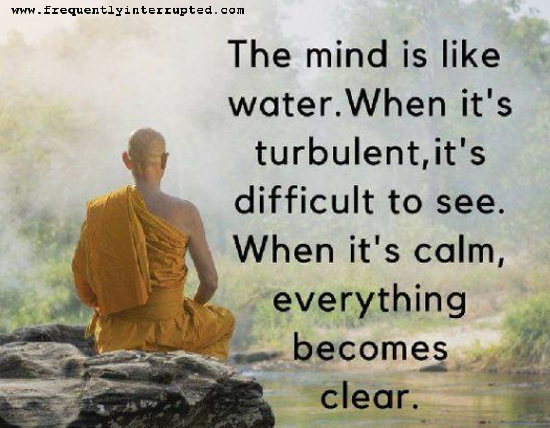 Be mindful. Be honest in all things, because that is how you learn, and that is how you grow. A reaction happens. 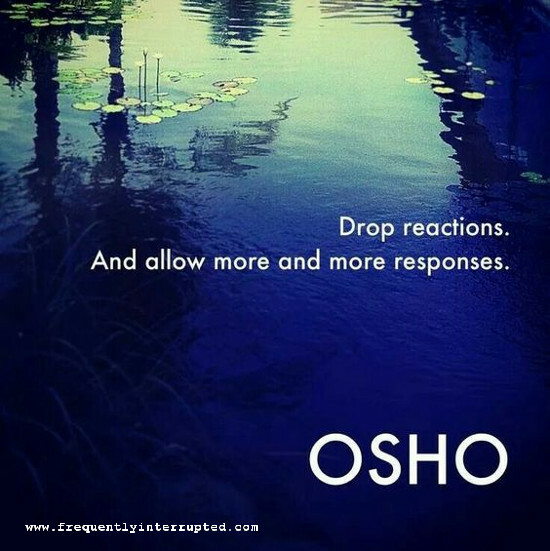 A response is what is done. Reaction is passive. Respond is active. You are responsible for your life, so take charge of it. Be active. 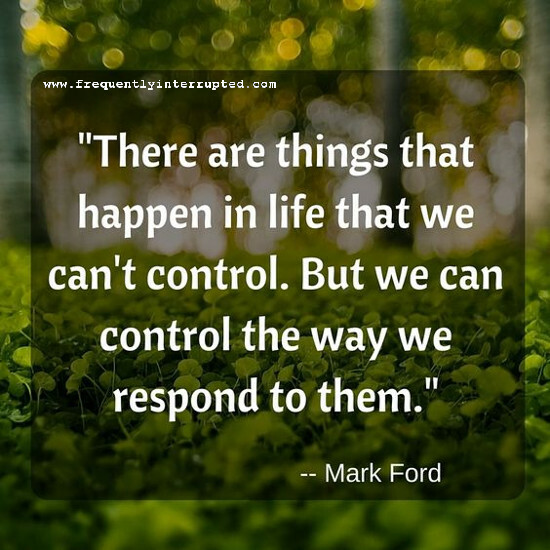 Do not react to life in a passive way, letting circumstances, instinct, and fear dictate your terms. Respond with mindful awareness, and be the one who acts. It is the paradox if being a good parent. 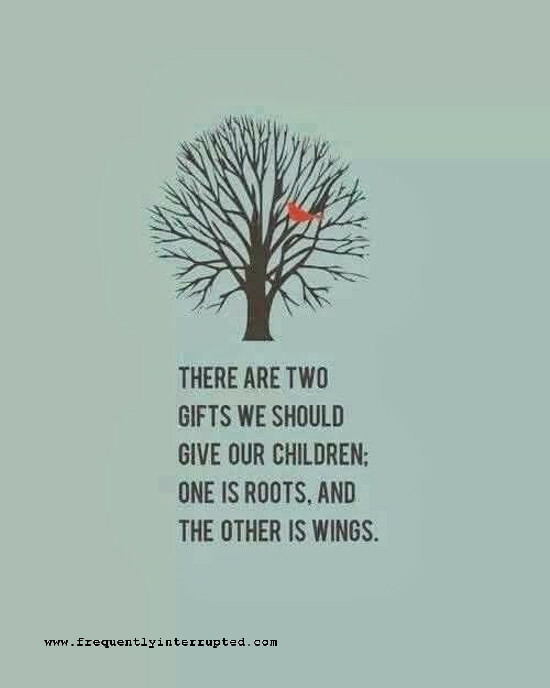 We must give our children the roots - the teachings, tradition, grounding, and foundation - that will help them to be strong and true, but we must do so without tying them down. We must give them the wings - the freedom; the vision; the questioning, questing nature - that will allow them to soar to new heights, without casting them adrift and letting them be blown away. We must hold on while letting go, and we must, somehow, teach them to be able to do the same. That is the love we have for our children, and that is the love we must teach to our children. 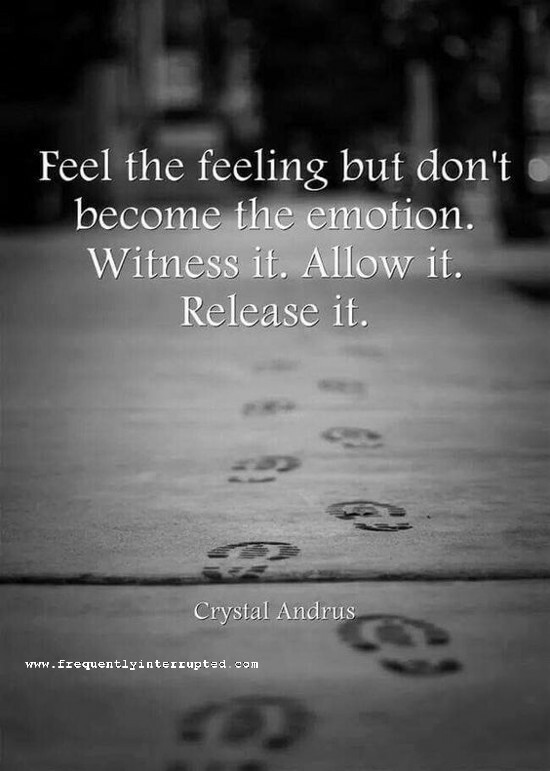 What you are feeling in the moment is real, but it is not who you are. Be present, be mindful of the moment, but do not cling to it and let it define you. Let the moment continue its journey, and let the present become the past. Don't give up because you got something wrong. 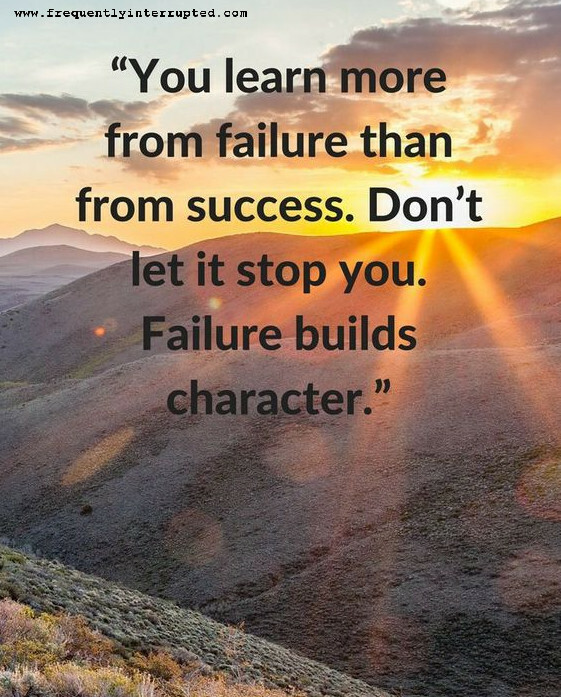 The failures are when you learn the most. Learn, correct, and keep moving forward. Patience. 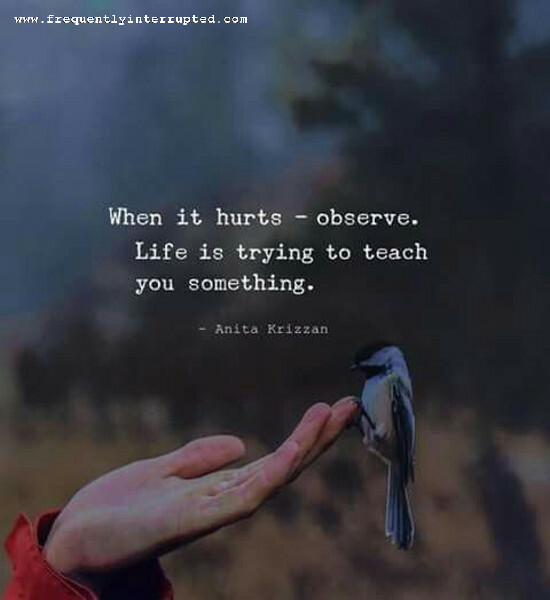 What life is trying to teach you in these moments is very often patience, or something related. That has been my experience, at any rate, but there are exceptions, so pay attention. Furthermore, if you're paying attention to the lesson, you'll probably find yourself hurting a little less. The mind is funny that way. 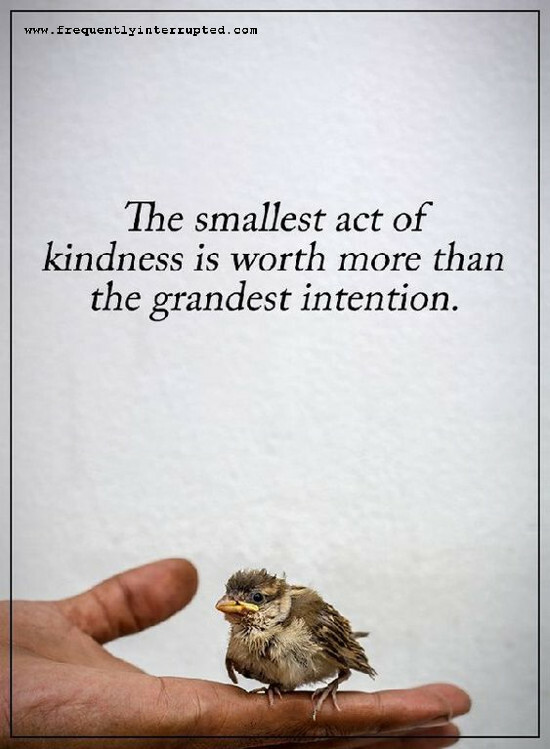 What may seem the smallest act to you could mean the world to the person on the receiving end. 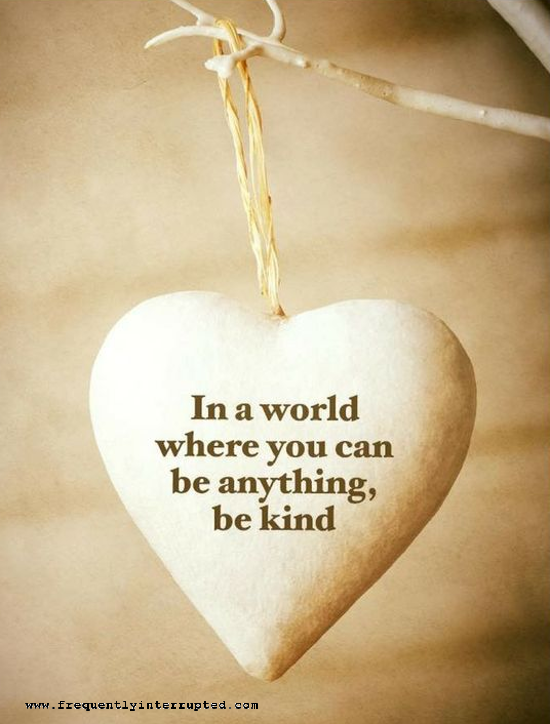 Keep that in mind the next time you have a chance to be kind. Something as small as a smile might make all of the difference. There is one thing in your day to day bustle over which you have absolute control: your response to the day to day bustle. Too often we lose sleep over the things we cannot control while failing to address the things we can. Reverse that order, and you may find that you're losing less sleep, overall. You don't get where you are going by stepping out the front door, but you will never get where you are going if you do not step out of the front door. 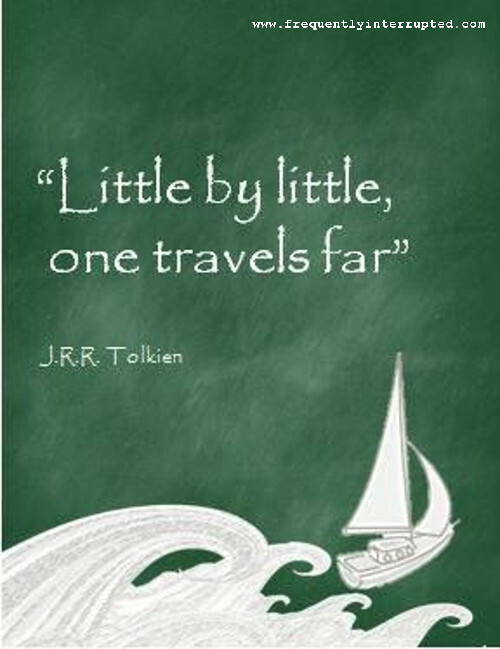 Every step adds to the journey, and it is only by the combination of steps that any journey occurs. Walk your path, and know that each step takes you further along the way. While you are running around doing everything you think you are meant to be doing, don't forget to get some down time as well. You can't pour from an empty cup. You can't do if you are done in. 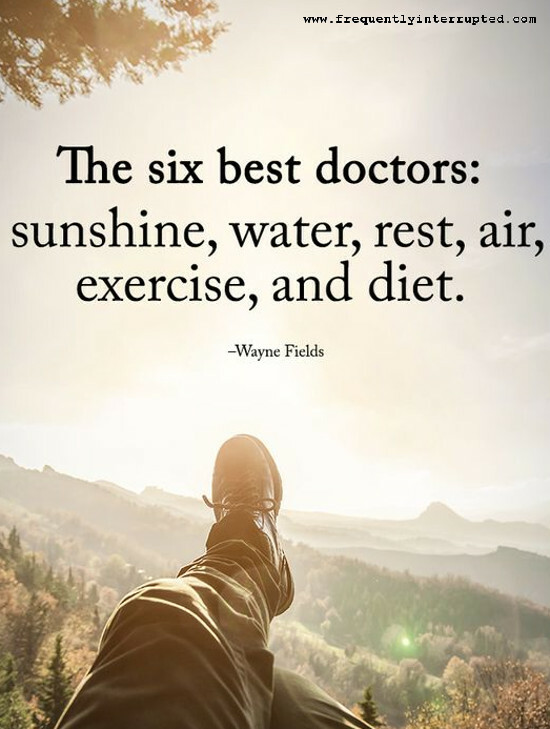 Take care of yourself, or you won't be able to take care of anything else.